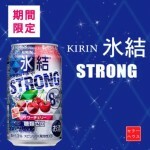 Review: Kirin Strong Sour Cherry Chu-Hai 8% | Oyatsu Break! I know that I’ve become something of a candy hoarder since starting this site, though getting back into the review game is helping me break some of those habits and push some of these treats out the door. But if I can be honest for just a moment, I have NO IDEA how I managed to keep this can of Chu-hai in the fridge for nearly two months without drinking it. Chu-hai is awesome (in case you forgot: here’s a refresher review) and this is a Limited Edition flavour that I’ve never tried before! 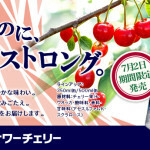 In fact, it was only available for the summer, and isn’t currently on Japanese store shelves, so… uh, sorry? I guess you won’t get to try it? Maybe it’ll be bad and you won’t have wanted to try it anyway, right? 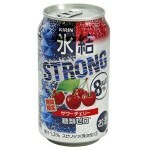 Packaging: Sporting the standard Kirin triangle/diamond design that makes it harder for the can to slip out of your drunken hands, even with almost no English on the can the basics (STRONG, 8% Alcohol) are communicated, and that big picture of cherries at least hints at the taste. It’s actually a really sharp package, with a lady-oriented red/pink blush on the can, but the great big STRONG distressed type telling the gents that it’s alright for them to imbibe as well. This can of drunk is for Everyone. Scent and Taste: The scent is incredibly strong, even for chu-hai. I guess the can isn’t lying huh? Seriously, I’ve described chu-hai in the past as tasting “like lemon paint thinner, but delicious” so for me to say that this is even bolder is a pretty big announcement. I’m even getting a hint of the sour, along with a heady cherry and white-grape-juice smell. It’s appealing. Strong, SWEET, a tiny bit sour on the aftertaste, but surprisingly it’s not nearly as potent as your average lemon/grapefruit chu-hai. It’s almost… pleasant… to drink. 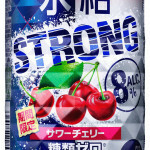 There’s still those low chemical flavours in there, and the bitterness of the low-quality alcohol, but it’s really effectively masked by the sour cherry flavour. 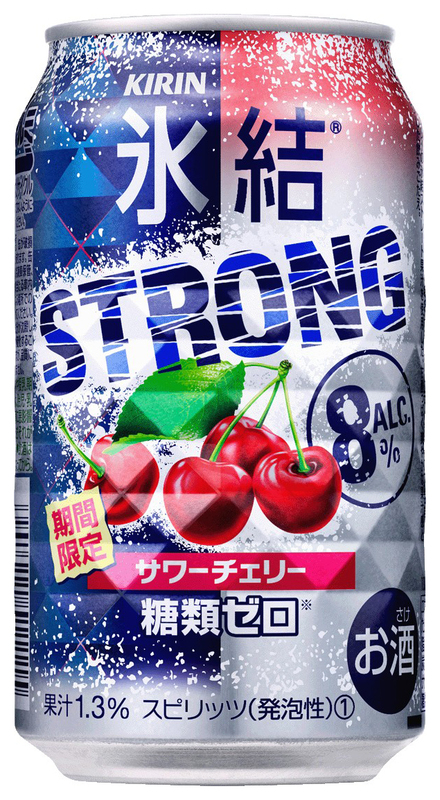 Taking a few more swigs, I can taste more of the sourness at the back of the tongue, but it’s just like someone added “sour” to this, it doesn’t taste anything at all like a real sour cherry. Verdict: That said, if I was looking to get a little buzz walking between my place and the train station, I wouldn’t hesitate to grab one of these from the case. It’s not quite as ‘put together’ as the standard flavours of chu-hai, but it’s an excellent addition to the family… Except it’s currently gone forever, so, uh, sorry? If only we could get these in Toronto, ON! 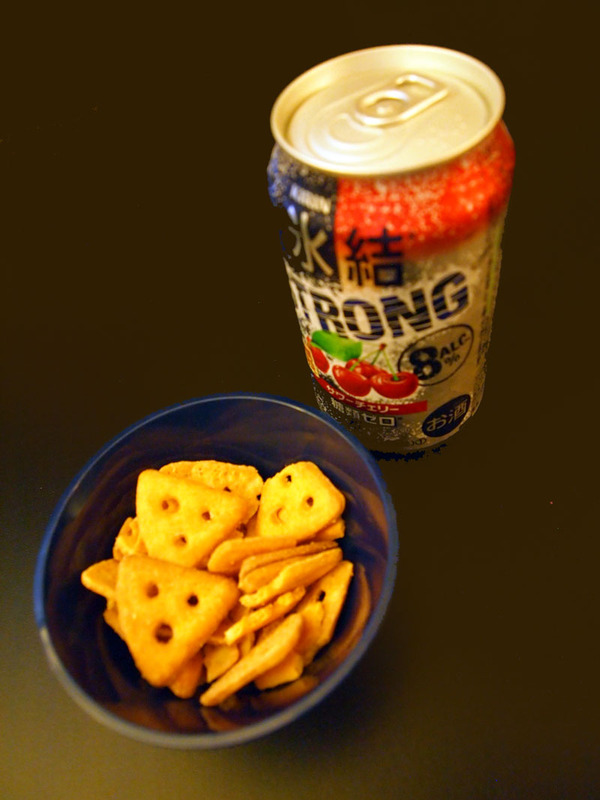 I’ve been to Tokyo only once, years ago, but the awesome memories of grabbing a can or two at the “7-Holdings” or Lawson or any of the other multiple convenience stores, is burned into my memory like… well, citric acid. Especially nice on an blazing, humid August afternoon! 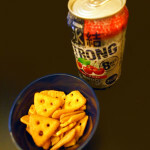 A friend and I have seriously been thinking of going back just to enjoy a few cans of chu-hai and some robata.